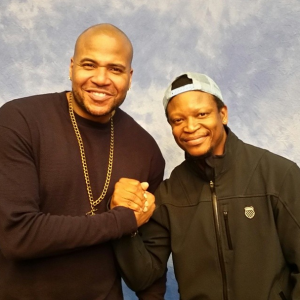 Flicks And The City caught up with The Walking Dead’s Oscar, actor Vincent M Ward, at London Film and Comic Con. Vincent chatted to us about what it was like joining a show as big as The Walking Dead, being killed off so quickly, and black characters on TWD. Season 3 of The Walking Dead saw Rick Grimes, Daryl Dixon and the rest of the survivors arrive at, and take over, a prison. This provided their base for the entire season and half of Season 4, but they weren’t the only people there when they arrived. The small group of prisoners there – Oscar, Axel, Big Tiny and Tomas – didn’t get to stick around as long as many fans wanted, being killed off one by one during the third season. “The season was definitely about the prison. It was never about the prisoners. Of course I wish I was around a lot longer, but I don’t control those type of things,” Vincent told us. As Oscar was killed not long after meeting the group, despite surviving in the prison before encountering them, we asked whether Oscar would have been better off never having met the group. So, how did he feel about the way Oscar was killed? We’ll next see Vincent in supernatural horror movie Live-Evil, with Tony Todd. 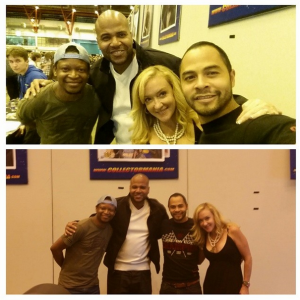 All photos courtesy of Vincent’s Instagram. 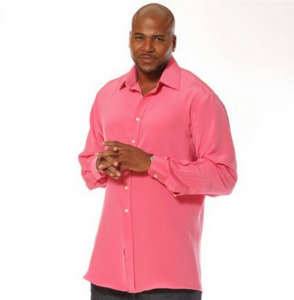 Follow Vincent M. Ward on Twitter, and Instagram and check out www.vincentmward.com for all his latest news and updates.